Unfortunately, motor vehicle accidents that affect pedestrians will almost certainly lead to severe injuries. They could take place for a variety of reasons including, but not limited to, driver negligence as well as poor weather conditions, to name a few. The former, however, tends to be much more common. No one is protected from accidents of the kind and pedestrians are regularly injured in collisions. In Ontario, the responsibility is laid towards the driver as the pedestrian is significantly more exposed as well as prone to injuries. This is why the pedestrian, who’s been involved, is rightfully entitled to monetary compensation for the sustained injuries. Our law firm is capable of providing you with the necessary legal representation in order to ensure that you get an adequate compensation. You are entitled to claim no fault benefits which are legally associated with the injuries as per the insurance policy of the driver who was at fault. You are also entitled to bring a case against the insurance of the driver if he was negligent. At AG Injury Law Office, we are more than well aware that an accident victim is likely to need a lot and intensive medical care and even rehabilitation. When you put this together with the accumulating loss of income and the piling medical bills, the situation can get out of hand and financially overwhelming. The stress being placed on the family of the victim as well as on the victim himself is particularly significant. Most commonly the legislation which governs pedestrian accidents and motor-vehicle ones is the same. There is, however, a key difference – in the former case the at-fault party is required to prove defendant’s innocence. In the other scenario the victim has to prove the negligence – this is a reverse onus and it’s rather appropriate. AG Injury Law Office is capable of providing you with an informed and objective estimate of the monetary amount that you can receive as well as give you the necessary insight on settling. 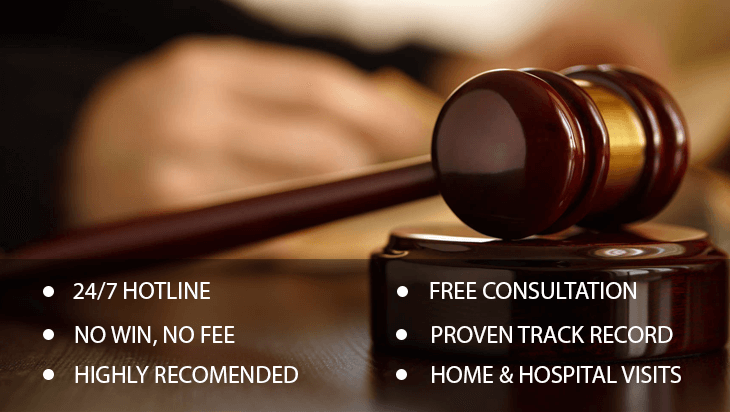 You can contact us right away in order to get a free consultation in case you or someone close to you has been involved in an accident. We have thorough and abundant experience in representing countless Ontario pedestrian accident victims. Our lawyers will carefully go through all the facts and ensure that justice is done. Call us right away and take a look at your possibilities.